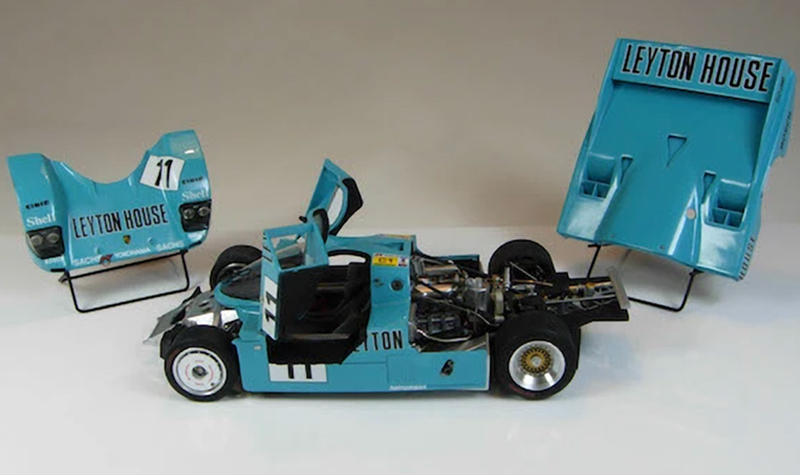 LP Creation model cars are realized by Pierre Laugier and are just plain fantastic. 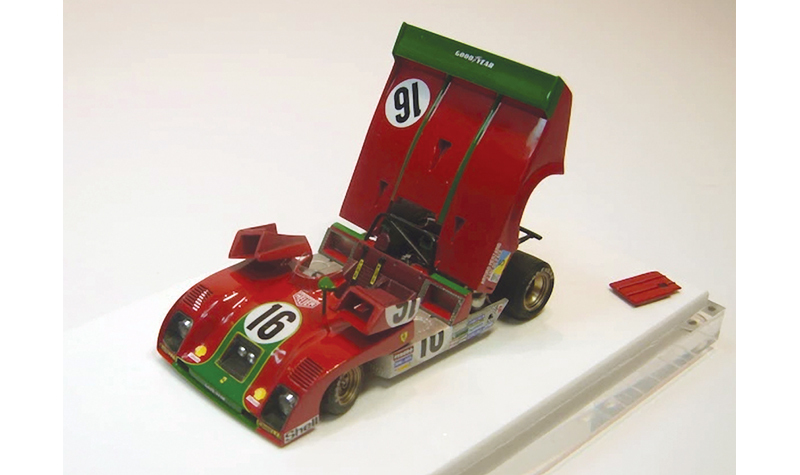 Like Steve Barnett, Mr. Laugier often starts with a standard 1/43rd scale model kit for inspiration and throws most of it away. 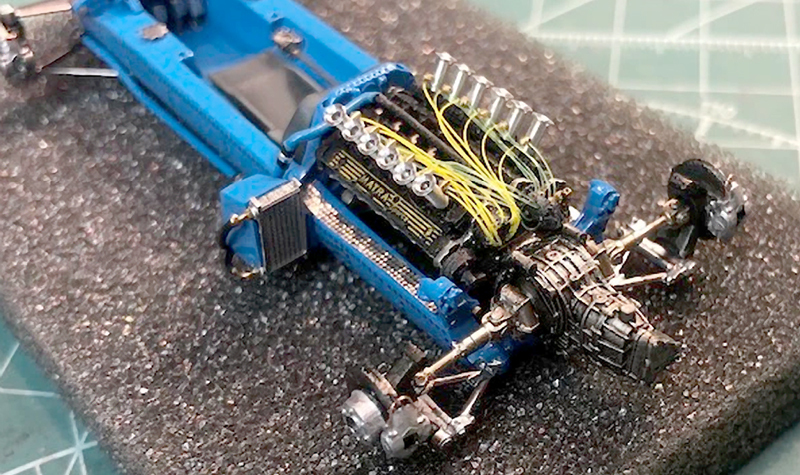 Laugier then modifies the remaining kit parts and fabricates what didn’t exist before. His models feature wafer-thin hinged open doors and hoods while creating full engines. He also wires or plumbs everything in sight. Think 1/18th scale CMC models reduced to 1/43rd scale. 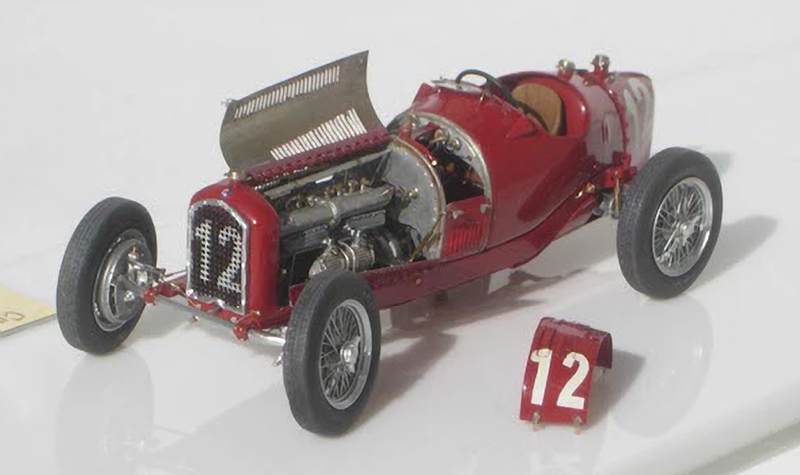 If you have been collecting in 1/43 for a while you may have many Spark, Truescale and Minichamps pieces. You might also have at least a few “marquee” models displayed at the forefront of everything else. LP Creation produces those type of models. 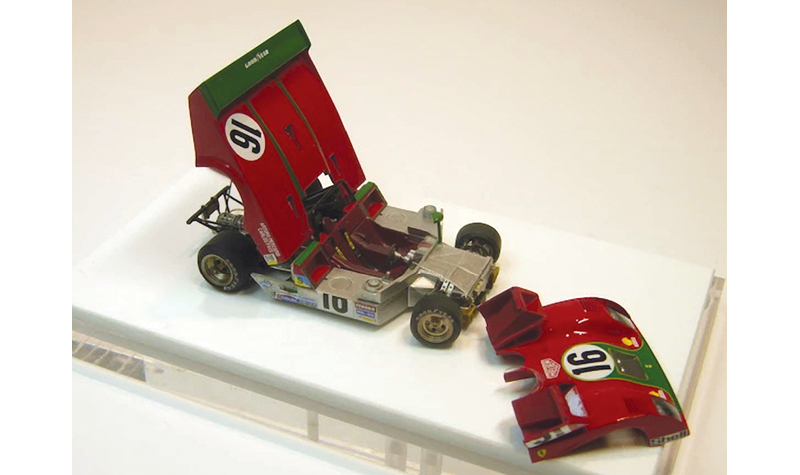 Simply beautiful pieces that definitely cross the line between model cars and pure art. Countless hours are spent by this master craftsman making little jewels for discerning customers all over the world. These are not pieces simply purchased and put on a shelf, largely forgotten when a new piece comes into your possession. 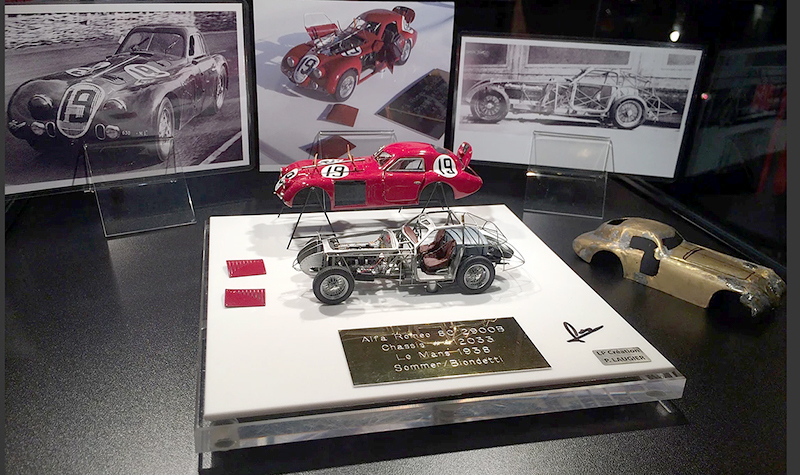 LP Creation model cars are to be savored like fine art and proudly displayed to one and all. 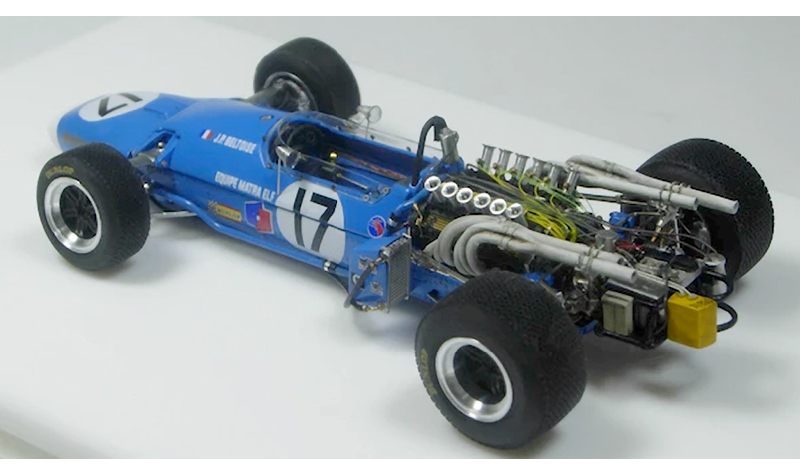 Laugier mounts his beautiful works on custom bases with the cars often shown with bodies open or completely off to show the fantastic detail within. One of his unique specialties is creating “bodybuck” models in wireframe or “wood” styles. 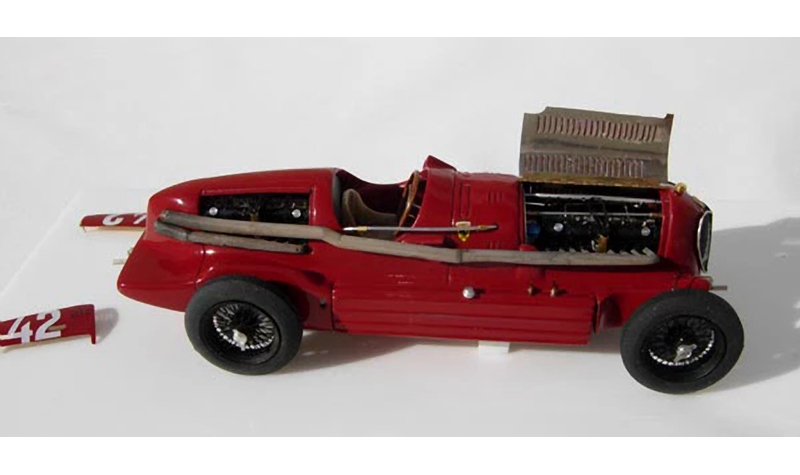 Bodybucks are commonly used by full-size vintage car builders to recreate bodywork unavailable otherwise. Craftsmen use the wooden forms to beat metal into sensuous shapes using time-honored techniques and tools. Mr. Laugier presents the wooden bucks in highly colored form in what I presume to be resin. 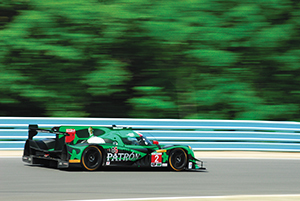 The same shapes are also available as “wire-frames” which recreate the shape of the car without most or all of the bodywork in place. 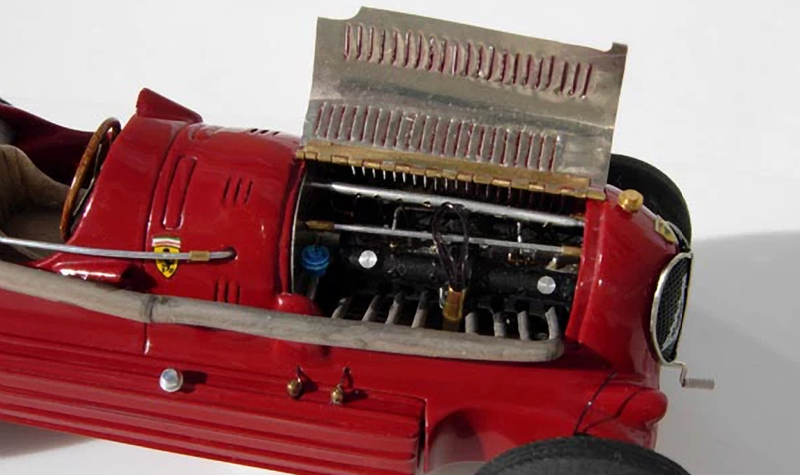 This is a wonderful way to own a model car that will instantly draw the attention of anyone who views it. Talk about a collection centerpiece! We present a few choice selections from LP Creation in our gallery below. 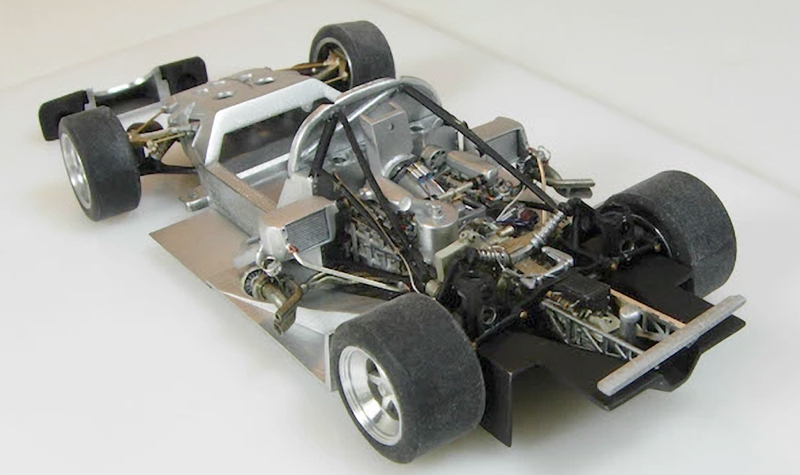 Explore further models and Mr. Laugier’s fascinating story at the LP Creation site here. 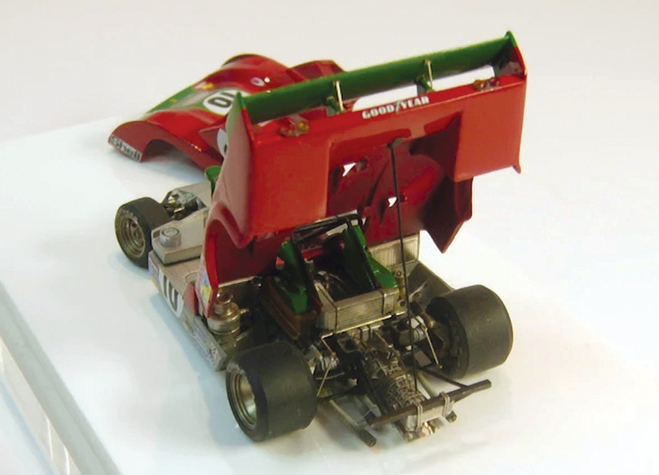 For more wonderful model cars in a variety of styles, visit our model car story archive here.